Hello! 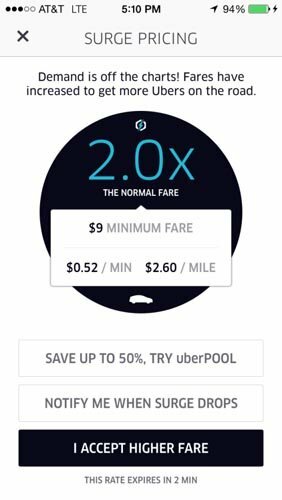 I was wondering if it is possible to pay Uber with cash or just with the credit card ?? Hi Dusica, You can pay also with cash, but drivers accept only CZK – Czech Crown/Koruna. Just make sure you will select the appropriate payment method before you book the ride. Estou tentanto obter um uber entre aeroporto praga e o centro da cidade, mas para 6 pessoas. É possivel? We have two pieces of luggage. What kind of Uber will you suggest? You will be fine with any type of Uber, no worries. Does Uber rides from/to Prague to Nymburk? Only from Prague to Nymburk, not the other way around unfortunately. Hi, i need a drive on the 22/01/2018 at 16:00 from Prague to Wroclaw (Poland), is it possible and how much it will coast. I am afraid Uber driver won’t take you abroad. Try some of the taxis (Tick Tack or Modry Andel). Hello, I’m thinking to order Uber from Prague Airport to the old town. My flight is arriving at 2pm on a wednesday is that consider rush hour? I have never used Uber before so I’m a little confused with the car options if I have a total of 4 people + 4 luggage which car type should I choose for? Is there any other surcharges for having luggage like some places they have luggage fee when take taxi? 2 PM is usually very quiet, so no worries. 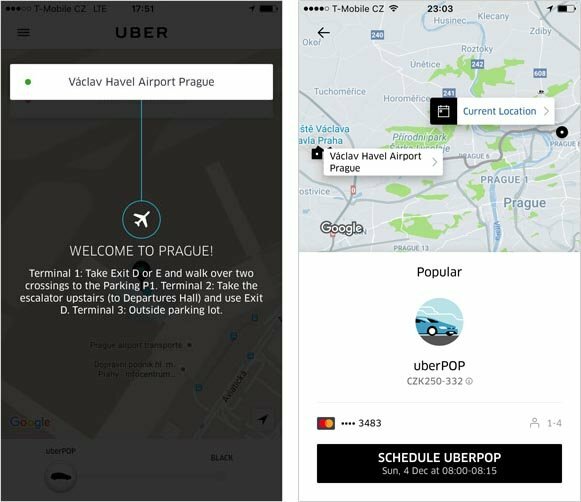 You should be fine with UberPOP and don’t forget to use our code “PRAGUEGO” for a 200 CZK discount. Is it safe for a young female tourist to travel alone from the airport to an around an hour destination from Prague ? Totally, in general Prague and the Czech Republic are very safe and Uber is no exception. This is my first time on Uber. I plan to take an Uber from the Prague airport to downtown in two weeks. My question is this …. in the car, will I be able to use a debit card that is different than the one I have loaded into the application on my phone? By default application will use the card you have loaded into the app. You can either change the payment method to cash or add another card. Can I pre-arrange an Uber driver from Prague airport to Seifhennersdorf, Germany ? Yes, if you see the clock icon in your Uber app (next to destination input). 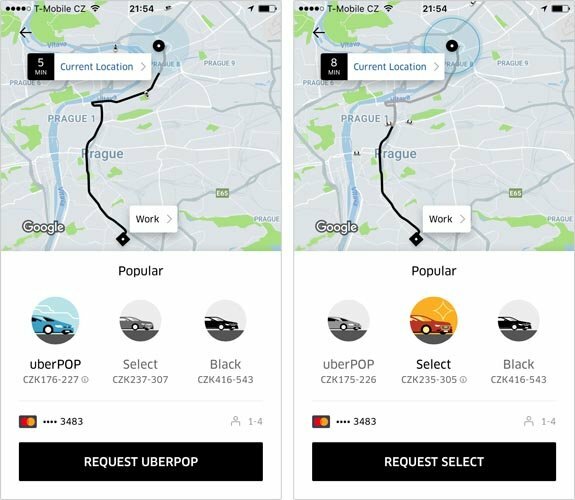 Cost with UberPOP or UberSelect will be around €100 depending on the traffic. Does the Uber app require internet? what is the situation for a foreigner to use this if he/she has no internet with their mobile device? Yes it does, however there is a free public Wi-Fi on the Prague airport which you can use to order Uber car.